A cowgirl dreams of life on the range, wild and free. 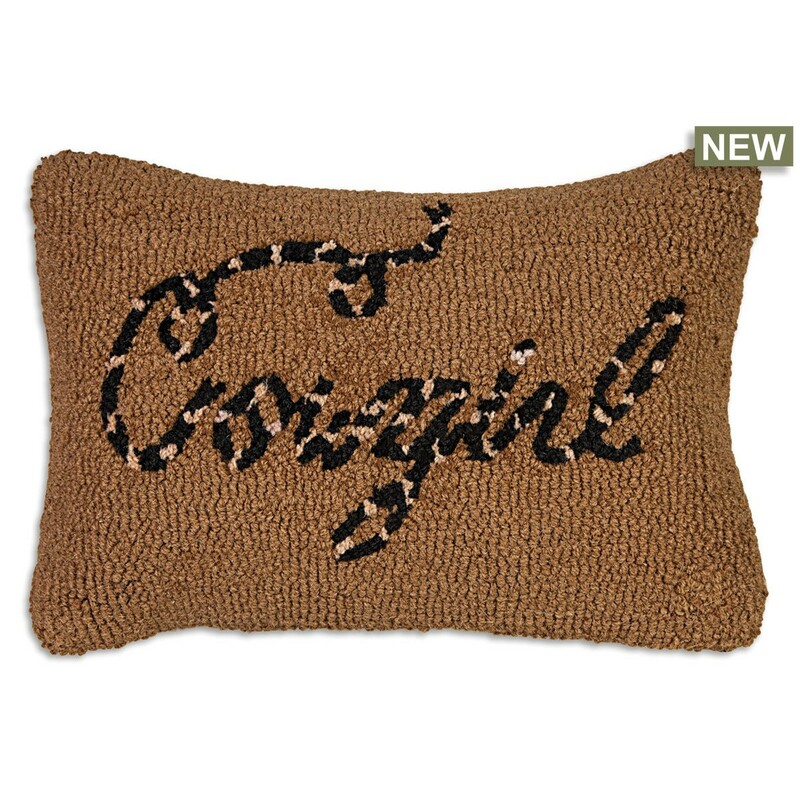 Make your home feel like a home on the range with this pillow featuring a wool rope writing out your aspiration on a hooked wool background. 14" x 20" hand hooked pillow, made with 100% natural wool. Zippered velveteen backing with poly-fill pillow insert. Designed by Laura Megroz.